Our wonderful friends Joan and Pat gave us a little 12 volt dehumidifier last summer. We brought it back to the boat in the fall 2015 but put it in storage on the boat as we had a rented AC so there was no need. However, we put it to work for the first time this summer while we were gone and it worked great! We came back to find the boat with very little mildew (one tiny area on the ceiling by the mast) and no heavy "boat smell". Yay! Thank you Joan and Pat!!! FYI - Tom drilled a small hole in the clear plastic reservoir (near the bottom) and put in a 1/4" hose barb fitting using epoxy. To that he attached a length of approximately 2 ft of hose. The dehumidifier sat on the galley counter and drained into the sink while we were gone this summer. Easy-peasy. Additionally, I hung Damp-Rid packets while we were gone. Very smart! 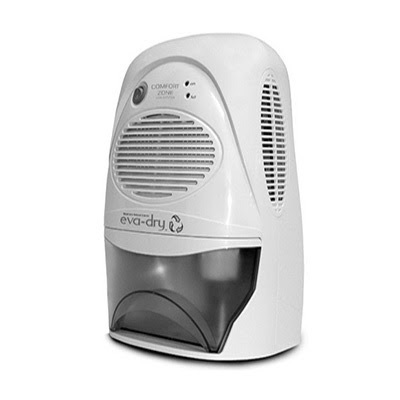 We loved our dehumidifier in Belize. Couldn't believe how much water we dumped out every morning!